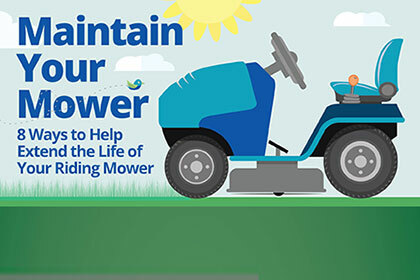 Get riding mower maintenance—just in time for lawn season. Is your riding mower broken? 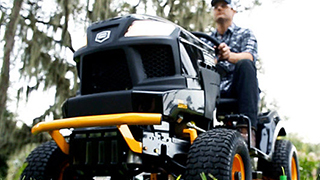 Please visit our riding mower repair page. *All other parts are extra. State and local sales and use taxes may be applicable. If a repair is needed, we will diagnose the problem and provide you with a cost estimate prior to proceeding. Our licensed pros will complete the maintenance. Maintenance work is covered by a 90-day satisfaction guarantee. With simple, regular maintenance, your mower will have your neighbors thinking the grass really is greener in your yard. It’s time to break out the riding mower and get to work. To make sure it’s ready to do the job, Ed Rzasa, subject matter... Read more . 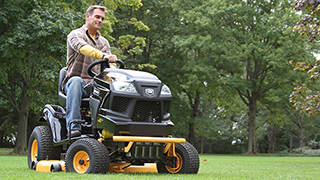 Does Your Riding Mower Need a Tune-up?